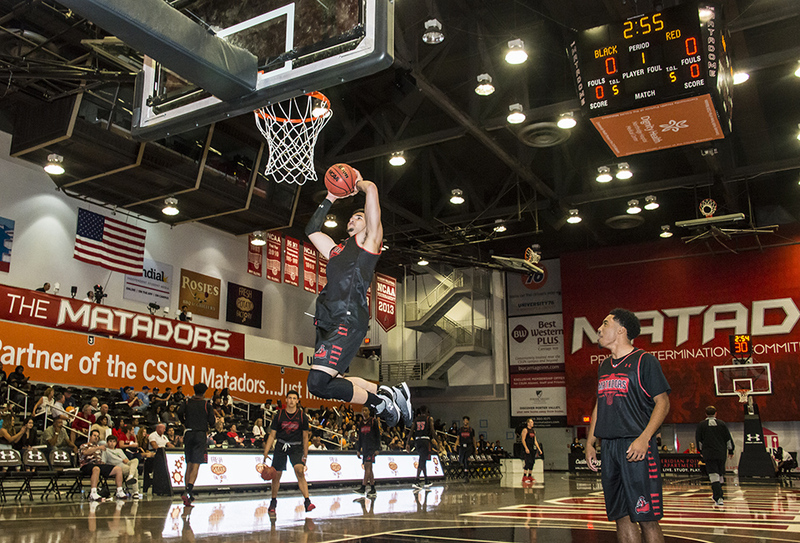 Matador Madness 2017. Photo by David J. Hawkins. 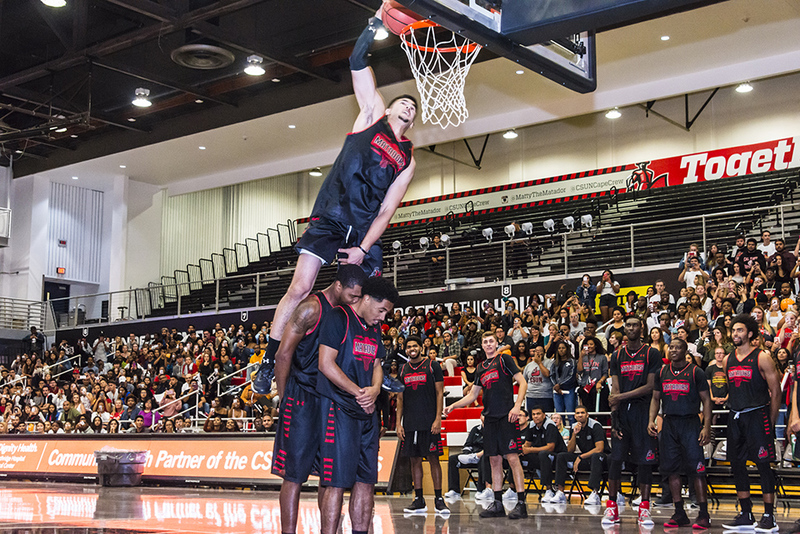 Matador Madness ,presented by GEICO, set the tone for the coming basketball season with introductions of the Matador men’s and women’s basketball teams and plenty of action on The Blacktop @ the Matadome on Oct. 13. 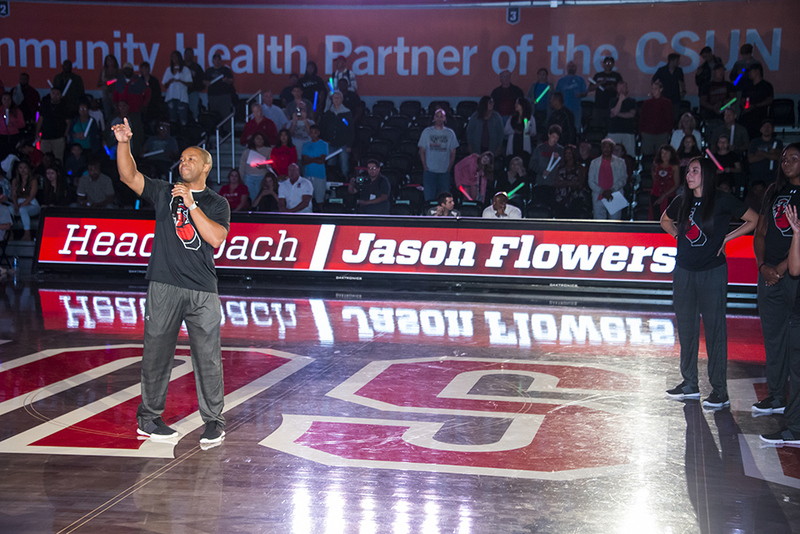 The night featured a pre-event Plaza Party, games, contests and more. 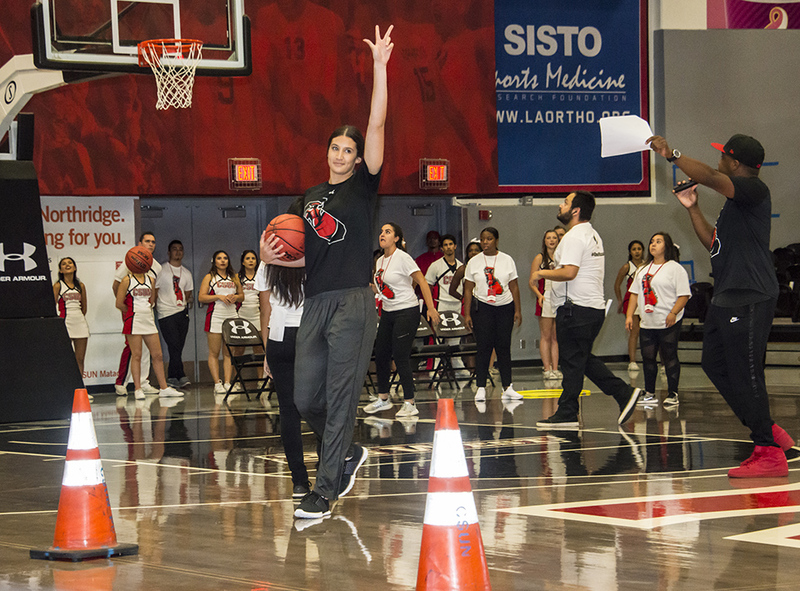 The women’s basketball team, led by Head Coach Jason Flowers and seniors Serafina Maulupe, Tessa Boagni, Taylor Nate and Jordan Smith, participated in a skills challenge, and the men’s basketball team, led by Head Coach Reggie Theus and seniors Reggie Theus Jr., Tavrion Dawson and Micheal Warren, treated fans to a dunk showcase. 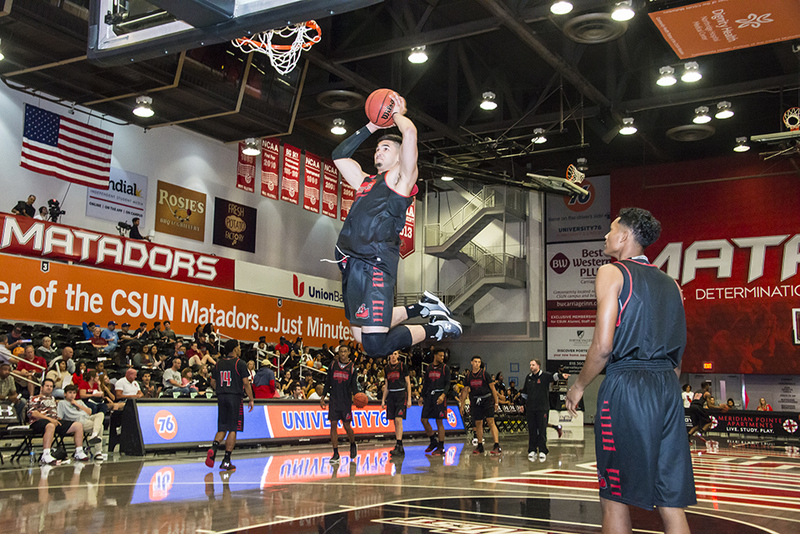 Redshirt sophomore Kobe Paras, junior Anthony Swan and freshman Jalon Pipkins did not disappoint with a series of high-flying dunks. 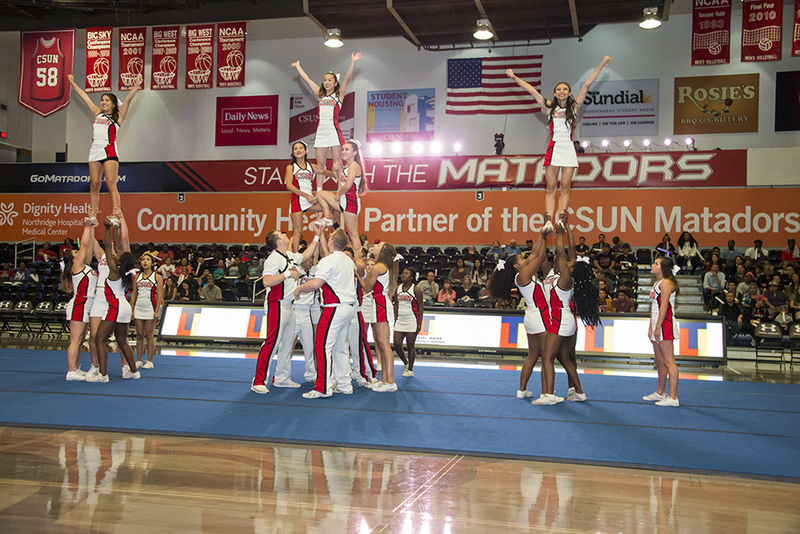 Here are photos from this year’s event.